Last week at this time I spent three days in downtown Raleigh for the Digital Marketing for Business Conference. (Check the Twitter traffic at #DMFB14.) I’ve attended this event before, but I still cannot believe a conference on this topic that draws so many professionals working on the web does not offer Internet to attendees! Bob and weave. At one session I learned that approximately 92,000 articles are added to the Internet every day. Yowza! We are all competing. Site owners and bloggers are not simply creating a content schedule for developing a site – multiple layers of analysis are involved. Due to time constraints since I’m updating clients’ sites weekly, I only update my writer website quarterly. After learning more about user experience issues I hope not to neglect my site anymore by revising the layout and building out new pages more often. More content and less effort. There’s more content right in front of us! Last year at the Internet Summit I learned a great way to add low-effort high-engagement content to websites: Re-purpose user inquiries! 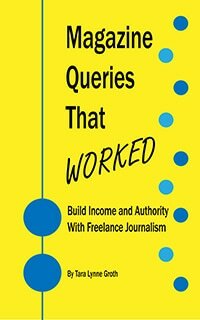 Now when writers email me about where to find a writing group, how to get media insurance, or how to start their career as a freelance writer I simply use my responses as blog posts. I’ve used this to grow FAQ sections on client sites too. At DMFB I heard a similar great tip: Coffee interviews! Meeting with a writer for coffee? Ask if you can use your conversation as an interview for your blog. Not about you! Or is it? When creating content for clients I am constantly writing with their audience in mind. (For content marketing peeps, the buzz word is persona.) Writing content for a dentist? Sure there are people looking to get their teeth whitened, but maybe it’s for a special occasion like a wedding. A few pages addressing the best time to whiten before a wedding, and other cosmetic procedures brides may be interested in could attract the right person and keep them on your site longer. Trying to increase online book sales? Create gift idea pages that include your book. Cookbook? Include new pots/pans. Mystery novel? Add a murder mystery dinner gift certificate. Poetry book about nature? Add gardening supplies or a camera. Partner up with other providers and take advantage of their platforms too. What a great idea to reuse answers to blog comments as posts! In the process of designing a spin-off site right now to focus primarily on drawing in more business so it’s good to know about the competition and what can be done to stand apart from the rest. Thank you so much as always for providing such great tips! It’s been a big help! Makes me feel silly I didn’t see the ideas that are already around. Should help anyone’s site, whether they are a writer or not!